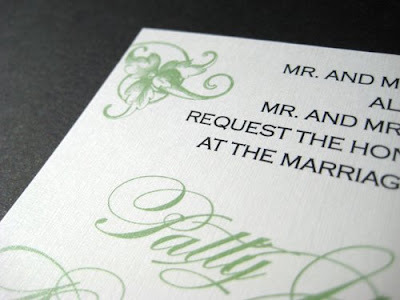 Patty used the Burgues font - which combined with this green is just so perfect & romantic! 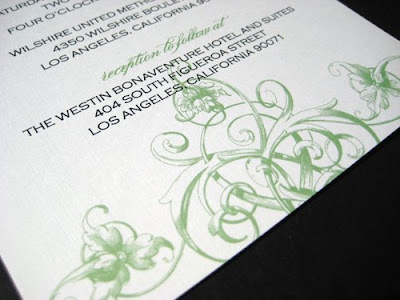 A great way to save on invitations is to include your reception information on your invitation. Most times it will fit and looks great. 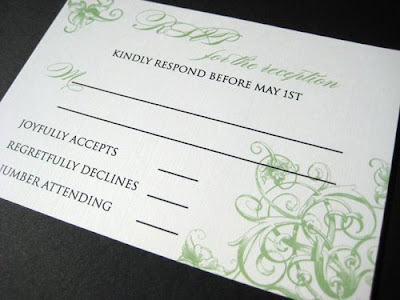 You don't always "have" to have a reception card if you are looking for a way to save money. We veered from the standard romantic rsvp and came up with a great design that would easily accommodate all of the needed text. 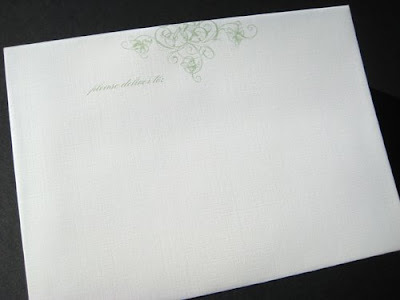 Patty wrote the sweetest email (I think literally minutes after the UPS man left)... "The invitations and envelopes are stunning! Thank you! 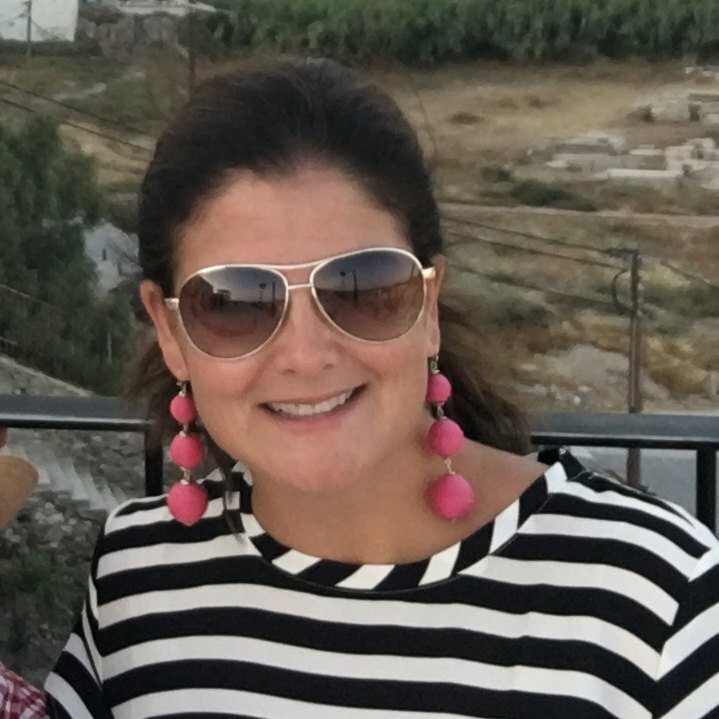 They look and feel went above and beyond my expectations."